Z is for… (#atozchallenge) – Calling you all to comment! If you have arrived here at my request for lots of commenters on today’s post then thank you and welcome. 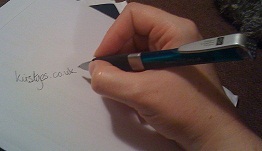 Today is the final day of the Blogging from A-Z Challenge April 2011, which has been both fun and a lot of hard work. I’ve decided today to go short and pass the hard work to you all. Now I mentioned this Z word back in one of my posts on the Southern Screen Writing Festival as Lucy V Hay had suggested that there are things she calls Zeitgeist scripts where there appears to be an influx of scripts on a particular topic with no particular reason for it. 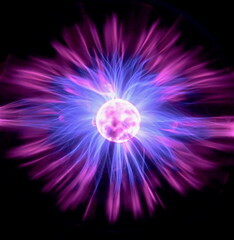 It was also likened to the hive mind. Zeitgesit is “the spirit of the times” or “the spirit of the age.” Zeitgeist is the general cultural, intellectual, ethical, spiritual, and/or political climate within a nation or even specific groups, along with the general ambiance, morals, sociocultural direction, and mood associated with an era. If you were to write a short story today what would it be about? 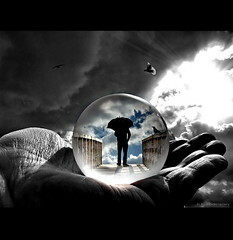 Give it a title and briefly describe the plot, the theme, the main characters and anything else you feel is important. That’s it – that’s all I want you to do but what I’m not going to do is release the comments (at least not straight away). I’m going to keep plugging this post until next Saturday and would love all of you to share this with your friends (feel free to use the share button below). Then next Saturday please come back for the big reveal when all of your lovely comments will go live and we can check what the spirit of these times is. Thanks for reading – A-Z challenge over and out! Since being a ‘young adult’ I have liked to read ‘young adult’ fiction, now as a slightly older but still very young at heart adult, that has not changed in the slightest. I do have varied taste but tend to enjoy the paranormal subgenre. As I mentioned in my V is for…Vampire post I read L. J. Smith’s book The Secret Vampire and I have gone on to read all 9 of the Night World series. I have also read all of her The Vampire Diaries (not the TV spin offs yet) being part way through the final book Midnight at the moment. Also I have read, The Forbidden Game, The Secret Circle and Dark Visions (which I vaguely remembered the first part of so not sure if I read this from the library). All of those books are hidden in a second layer on the bookshelf along with Charlaine Harris’ Sookie Stackhouse series (that True Blood is based on). I’m actually guessing that those are adult rather than young adult but I’ve not started reading yet. I bought the first three of the Succubus series by Richelle Mead in a second hand bookstore the other week and again think these are meant to be adult. Richelle Mead has written a series called Vampire Academy which I believe is getting a spin off series shortly. I’m waiting to buy these because I’m undecided about whether or not to purchase hardcopy or on Kindle. 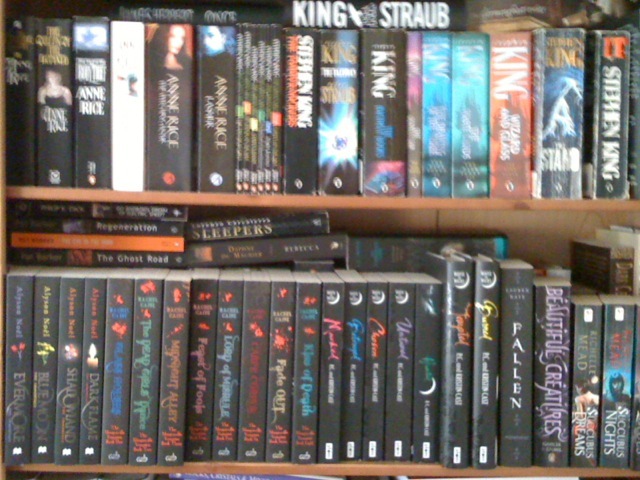 The other books on the shelf are The Immortals series (Alyson Noel), The Morganville Vampires series (Rachel Caine) and The House of Night series (P.C and Kristen Cast – mother/daughter writing duo). Then Fallen (Lauren Kate -first of a series) and Beautiful Creatures (Kami Garcia and Margaret Stohl – also part of a series). At school I remember reading the Point Horror books (with titles like The Babysitter and The Lifeguard) and Sweet Valley High (a slightly different genre) and I’ve read TV spin off books of Buffy etc. After the film version I read I know what you did last summer (Lois Duncan). One of my other favourites is The Changeover by Margaret Mahy – I re-read this recently and still found it creepy. Of course I’ve read His Dark Materials (Phillip Pullman), some of the Artemis Fowl (Eoin Colfer) and The Twilight series (Stephanie Meyer). If you haven’t checked out The Host (also by Meyer) – do, I’d love to see it made into a film – the female character in it is a much stronger lead than Bella. I have to admit I get a bit lost as to what is considered young adult sometimes, for example where do The Princess Diaries (Meg Cabot) sit? Malory Towers (Enid Blyton – hate the new covers). Lemony Snicket? And what about Harry Potter? 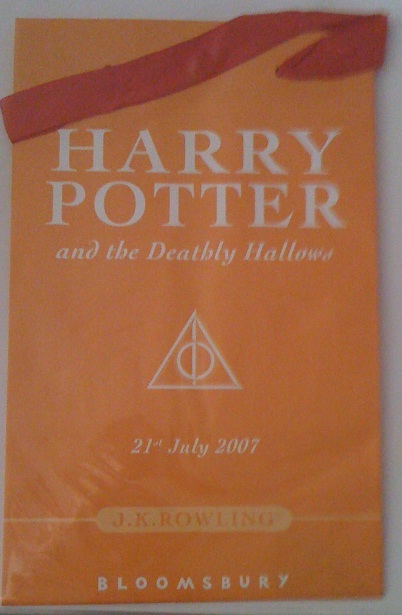 (cue an opportunity for me to add another picture of the bag that my HP7 came in and that I forgot to add into my H post). A number of these series at least start as children’s books but in HP’s case especially they move into Young Adult territory as they grow more mature in theme. Now as you may have noticed a lot of these books remain unread (need more hours in the day please). And I haven’t even mentioned the ones on my Kindle yet (The Mortal Instruments (Cassandra Clare), Firelight (Sophie Jordan), The Tor (Lisa Granville), Fall of Angels series (Keary Taylor), My Blood Approves and Trylle (Amanda Hocking– if you have not heard of her you are probably not a writer spending a lot of their time on Twitter). All of these are still sat there or tucked up electronically waiting to be devoured. I keep putting off reading because I know I’ll want to stay up all night to read them in one sitting. Now I blame my growing library on Twitter and one person above all others – Jesi Lea Ryan who writes the blog Diary of a Bibliophile. I enjoy her book reviews so much she makes me want to buy and read the books that second. If you are interested in YA please do check her out (I’ve also added some other YA links in my blogroll). When I do finally get round to reading, now I have a Goodreads account, I plan to write reviews which I may post here too and that should pop up in the little Goodreads’ widget. As I read I’m going to have to make note of some quotes so that I have more than Harry Potter ones pop up – not that I really mind that. When I was digging through my parents bookshelves looking for a book that I thought I remembered from my childhood I came across The Tovers (Elisabeth Beresford) – I remembered the cover immediately and can’t wait to re-read. I didn’t find the book I was after. If anyone can help (and apologies if I’ve already posted this but it is bugging me) – it was a children’s illustrated book about a party on some steps in a castle/tower where everyone got a ticket which told them how many steps they had to climb and when they got to their step there was a box with their food in it. Please someone know this book! And Tabitha Suzuma says I should have my signed copies of her books early next week. Very excited about those. I wonder if there are any of you thinking, you’re a 30 something year old woman who is seriously needing to start considering hair dye, grow up and read Tolstoy or something. You might have a point, and I do also read fiction outside of this genre and written for adult audiences, but this is the type of genre I want to write so as well as being very pleasurable this is research and therefore a legitimate occupation for me. Actually strikethat it’s legitimate whatever my reasons because it is meaningful to me. I can still see me as an 80 year old reading about vampires and witches and angels and fairies and love and human frailty and I’ll be enjoying it. This is a plea to come back on Saturday for my final Z post in which I plan to run a little social experiment that will need as many of you commenting as possible. On the day do tell your friends and share the link using the handy share button at the bottom of each post. Thank You. Please note links through to Amazon are sponsored through the Amazon Affiliates scheme. Once upon a few years ago everyone knew what to buy me for Christmas and Birthdays -anything X-Files related. 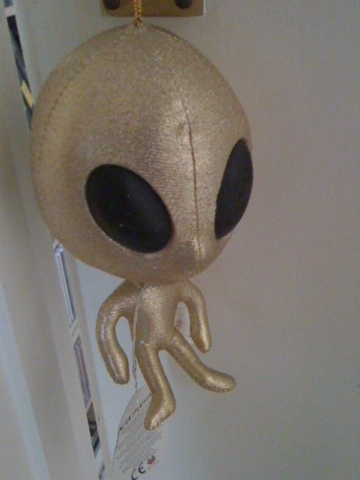 My favourite ever gift was this gold alien that makes a screaming sound if you bang its head against something (I used to scare my sis doing that). I even collected X-Files cards and made them a box to go in, which I must still have somewhere. Sad, I know. Funnily enough yesterday I went to a session on what the speaker termed ‘Fanish activities’, her focus being Vampire based knitting. I cant knit and I don’t write fan fiction (perhaps surprisingly as a writer) but go mad on the whole collecting thing. I even ‘drew’, and I use the word loosely, a cartoon Mulder and Scully. 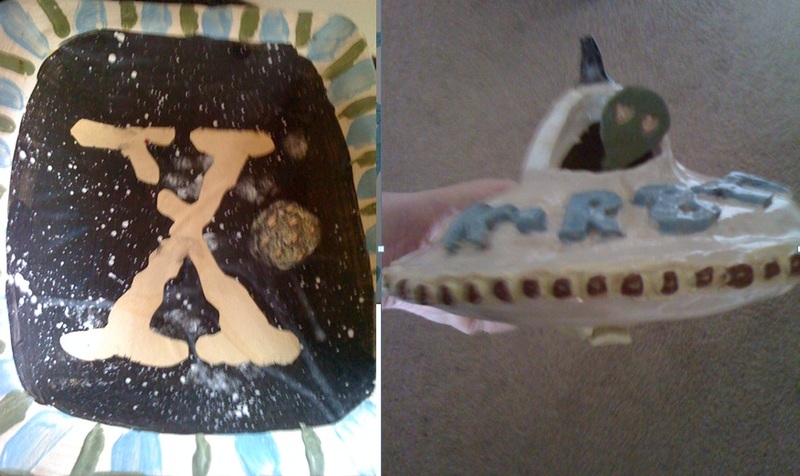 At University when learning about the therapeutic uses of pottery I made some X-files bits including a fruit bowl (currently in use in our house) and a Spaceship complete with Alien on a stand. The stand holds our washing up brushes now. I am still very proud of the X on that, I like the effect of the dripping glaze. I hope to add photos of my geekishness for you to see but will need to do that later when i can find the picture and spaceship that are packed away somewhere, so I will schedule this post for early and tease you with a later reveal. OK – now I’ve found the drawings I’m not convinced I actually did draw them – did any of you oh friends? I guess for me, as with any fan, part of the enjoyment of being a fan of a particular tv series, book/book series or movie or genre is about interacting with it in some way outside the media itself. That can be by taking part in activities that aim to recreate aspects of the media or to talk to or create a narrative (story) with the media, to make it part of your life and your story maybe. I wonder how much being a fan and engaging in fan activities is acknowledged as an occupation by occupational therapists and their clients. Anywho for those of you who don’t know this show and what I’m blathering on about, where were you during 1993-2002ish? The X-Files stars David Duchovny as Fox Mulder, a believer in extra-terrestrial life and Gillian Anderson as Dana Scully a skeptic. They work for the FBI to solve/investigate X-Files, unexplained or spooky cases and they are dab hands at holding torches and guns at the same time! Other notable characters were Alex Krycek (who I thought, along with Mulder, was somewhat dishy), Skinner, The Cigarette Smoking Man and The Lone Gunmen (men!!). Now, I am ashamed to admit that despite owning the DVDs I have never actually watched all of the X-Files. To be honest I know I watched up to S6 but after that just looking at the episode titles on http://www.imdb.com I’m not sure. I haven’t watched S9 or the second film for sure. The thing is it’s now too late down the line to just watch the last few series, I’m going to have to start from the beginning to get back into it (how I wish I could be paid to sit at home, watch Tv and read and write). Now the series spawned two major catchphrases, ‘The Truth is Out There’ and ‘I Want to Believe’. The first in the show refers mainly to Mulder’s search for the truth about what happened to his sister who he believes was abducted by aliens, and obviously more generally for the process of discovery or solving the spooky cases (which Dana likes to attribute to a neat scientific cause). The catchphrase has been used by conspiracy theorists to refer to government ‘cover-ups’ such as Area 51 and the Roswell alien crash landing and alien autopsy video. The second ‘I Want to Believe’ is on a poster along with a picture of a flying saucer in the agents’ office. Now I’m not entirely sure that personally I want to believe. For all of my ‘love’ of this genre when people start talking to me about real life ghosts or if I stop too long to consider the existence of any extra-terrestrials that are not ET or the kids from Escape to/Return From Witch Mountain (love these films) then I get a bit freaked out (though I still sit and watch things to fuel these fears like Independence Day, V, War of the Worlds etc etc -idiot!). Despite the show being about aliens and the paranormal the episode that most clearly sticks out in my mind as being the most creepy and scary was Home (S4, E2). This concerns an icky case of serious in-breeding and is more akin to a horror film, deformed monsters in the woods type, not my favourite type of horror at all. I like my horror all self-referential and comic and jumpy like the Scream franchise (go see Scream 4 it is fab). As a side note when watching back Scream 1,2&3 with a friend the films are actually far less gory than I remembered and so much of it must have been done through suggestion which is far more powerful (for scaring the bejeebus out of me anyway). The other thing that The X-Files did was to make me notice that some series creators give actual titles to episodes, this is something I enjoy (with Buffy, Angel, Charmed, Gilmore Girls etc) in seeing what meaning they may place on an episode and what pop-culture references they make with them. But the element of The X-Files that I enjoyed the most was the will they, won’t they relationship tension between Mulder and Scully. Their relationship made this otherwise otherworldly show seem real and their characters got me invested in their search. I see echoes of this in Bones between Booth and Brennan. Does anybody reckon their ‘We will be together on such a such a date’ piece of paper burning is going to come true? Now this is something ‘I want to believe’! Posted in #am writing (and all things writing related), April A-Z Challenge, Kirsty rambles on about life, the universe, tv, and everything!